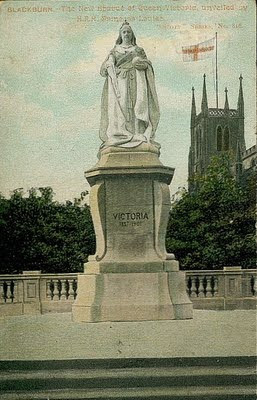 Here's a close up of Victoria. This statue is still on the Boulevard to this very day (November 2009). Note the flag of St George, proudly displayed. 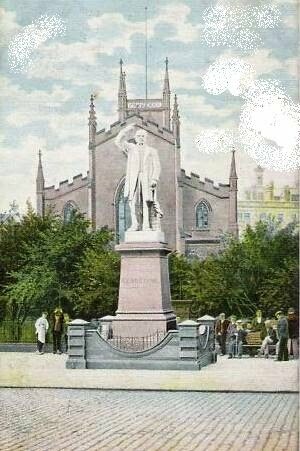 The postcard of Gladstone below, dates to around the same time. His statue was later moved to the front of the Technical School on Blakeymoor, in the 1950's and was then moved again, around 1980 to the corner of Northgate / New Market Street, where it still is today.